It’s no secret that exercise is a necessity for both you and your dog. We often forget that our dogs are pack animals and their origins are rooted in hunting, playing, and roaming all day long with their pack family. If you are already in the habit of walking your four-legged friend, you know that it’s a special time for the two of you to bond as well as establish yourself as the leader of your domestic “pack”. Why not shake up your routine a bit and kick your workout into high gear by taking your best friend for a hike? Follow these 5 tips and your hikes will surely be a wonderful experience that you’ll both enjoy together! Does your current exercise endeavor consist of walking around the block a couple times? Then you may want to rethink that 10 mile hike you’re mapping out. 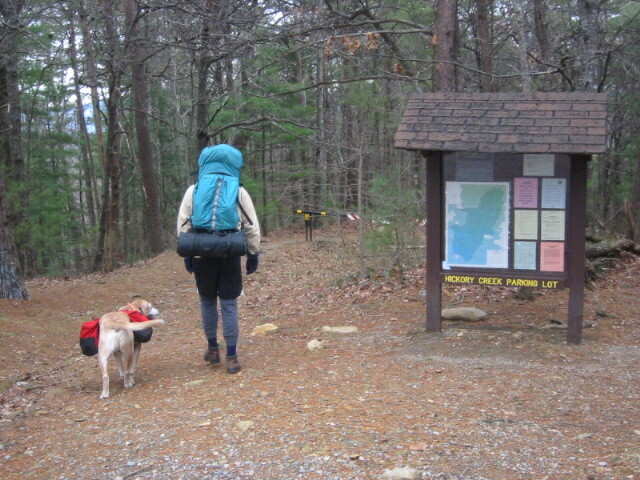 Not only do you need to be able to hike without difficulty, so does your furry companion. Start intensifying your walks by making them longer and include hills if possible so the two of you can build up your stamina. It’s also advisable to take your dog to the vet just to ensure that he will be able to accompany you comfortably when you’re ready to hike. Dogs are people-pleasers and they never want to let on that they are injured or in pain, so they will endure it for as long as they can. – Collar and leash – Bring these just as you would when you’re going for your regular walks. – Proper ID tags – The tags MUST be legible and specify your dog’s name and your current contact information. It’s also a good idea to have a current photo with you just in case you get separated. – First Aid Kit – Human first aid kits can come in handy in the event of a cut or scrape (for either of you). Throw some tweezers in it for easy tick removal. – Vet’s Phone Number – In the event that something unexpected happens, keep your vet’s phone number with you so you can quickly find out how to best take care of your dog. You can never be too careful. – Sunscreen – You both need sunscreen and they make sunscreen specifically for dogs. Light-colored noses are very susceptible to sunburns and dogs can get skin cancer just like you. – Orange vests – Know whether or not you are taking your hike during a hunting season. Orange vests for you and your dog will make sure you both stand out. – Appropriate Dress – When hiking during cooler weather, bring along an extra layer if your dog tolerates “clothes”. For summer hikes, keep a cool, moist scarf or bandana that he can wear to take a bite out of the heat. Food should be given on rest breaks or during bouts of less intense activity to ensure that you don’t upset his tummy or cause bloat. The same rules you follow on your routine walks apply to your hikes. Have a “carry in, carry out” mentality, which includes cleaning up after your dog on the trail. Using a leash will ensure that other hikers, other dogs, as well as the flora and fauna around you will remain undisturbed. If you’re both on a more leisurely hike, let others moving at faster pace pass you easily.